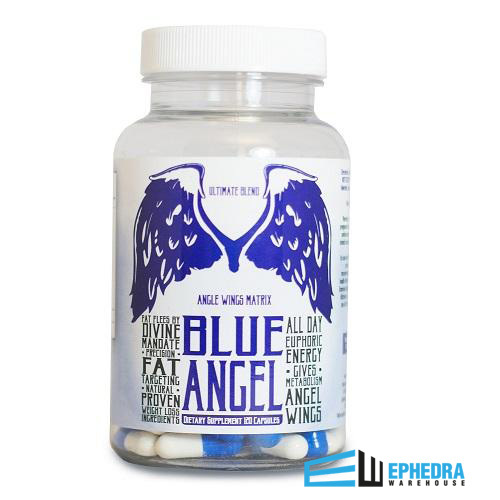 Blue Angel by Schwartz Labs is the newest ephedra fat burner on the market. Blue Angel contains 30mg of Ephedra per serving which is the most ephedra Schwartz Labs has put into any of their fat burners. The effectiviness of Blue Angel comes from the ingredients that is in each capsule. Each of these ingredients along with the Ephedra have all been studied and researched to see what their effectiveness was for weight loss. Blue Angel comes with 120 capsules, and one serving is 3 capsules. Blue Angel is designed with the user in mind so that an experienced ephedra user can take up to three capsules at once while a beginner may start with one ephedra capsule and work there way up to three capsules per serving. 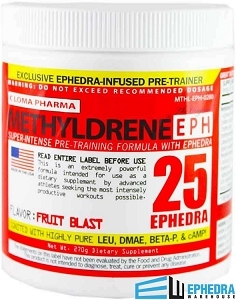 Enjoy the benefits of taking ephedra diet pills with Blue Angel. 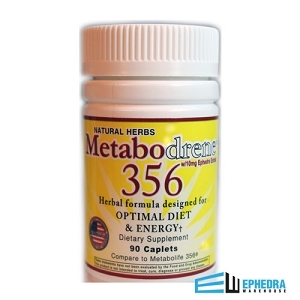 I had been taking a differet product for a few months, and when I called to place my order they told me Schwartz Labs had come out with a new product that contains more Ephedra. So I decided to give it a try and I am definitely happy I made the switch. I like it. Safe for the heart. 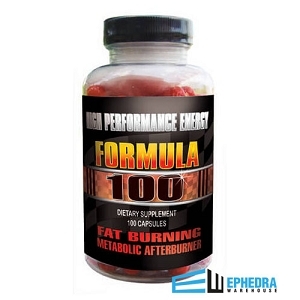 I usually get Hellfire but I found it less effective so I tried this product with a higher ephedra count. It works good, takes a bit longer to become effective so take it 45 min before workouts. What I do enjoy is that it also does not cause jitters but does help elevate heart rate. The effects do wear off faster than some products which is good if you workout at night and need to be able to get to sleep. With the help of this product, and following a low cal low fat diet, ive lost a little over 80 pounds in less than 200 days. It definately works for me, i did find that after 3-4 months had passed, while taking, it still helped sway appetite, but was finding myself needing a little more of a pick me up.. I tried switching up products, but they dont give the same results that i get from the blues...so, the blue angels are my staple, and nearing my goal weight(100 total), i add another supplement for the energy i need. I love this product. Id be 80# heavier had i not tried it. Thank You.